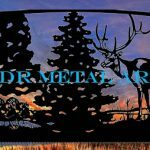 rustic driveway gates Archives - Custom Driveway Gates - Iron Steel & Aluminum - JDR Metal Art - FREE Standard Shipping! 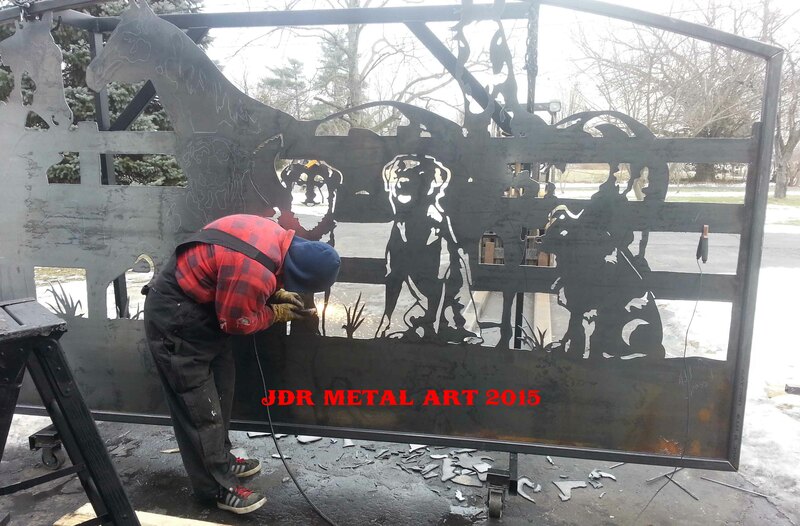 Oklahoma City driveway gates featuring life-size horse and dog plasma cut silhouettes built at JDR Metal Art. 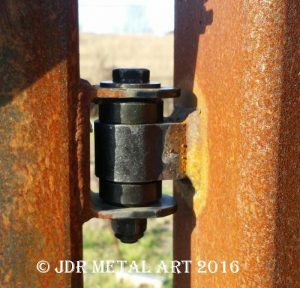 We are currently working on this driveway gate project for a ranch entrance located on the outskirts of Oklahoma City. 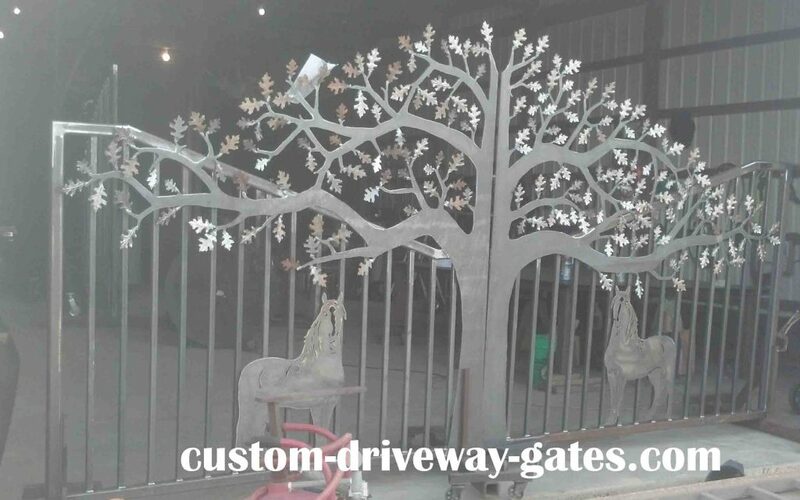 There will be one of these 15′ wide x 7’4″ tall single swing gates at two separate entrances. 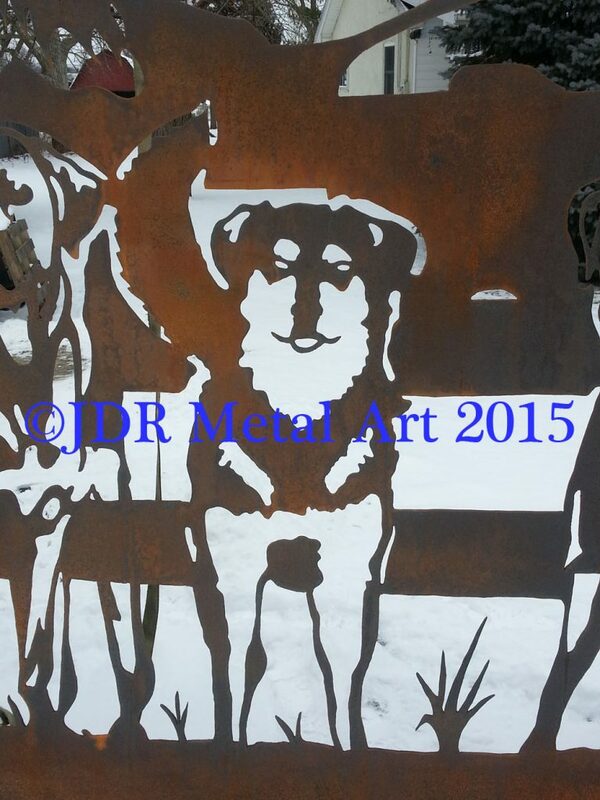 Each gate will feature three paint horses and our clients’ five family dogs. 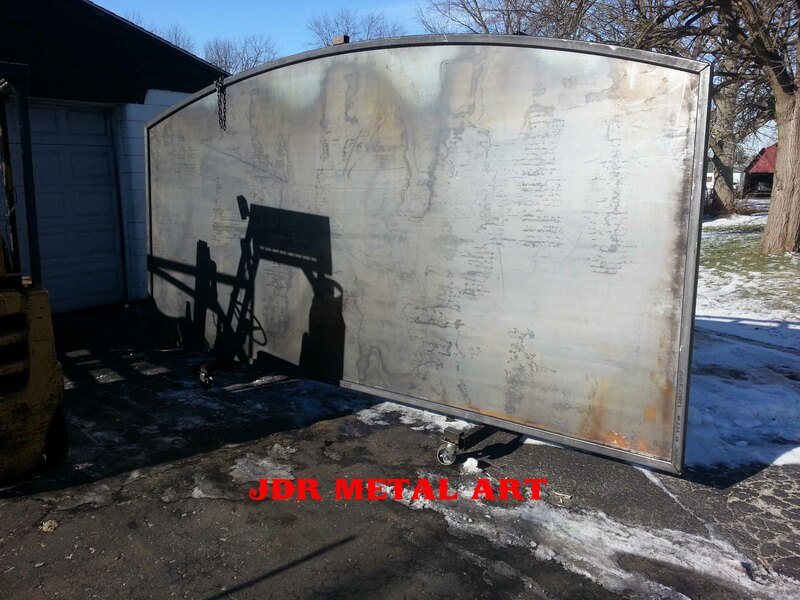 Using our custom gate design process, we were able to take the design from start to finish in a couple week’s time. 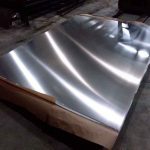 First, we worked with our customers over the phone and through email to coordinate the necessary dimensions and details for the custom driveway gate design. 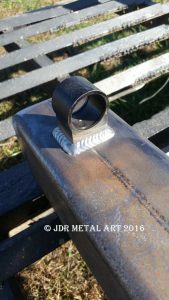 Then we put together the design theme they had in mind. 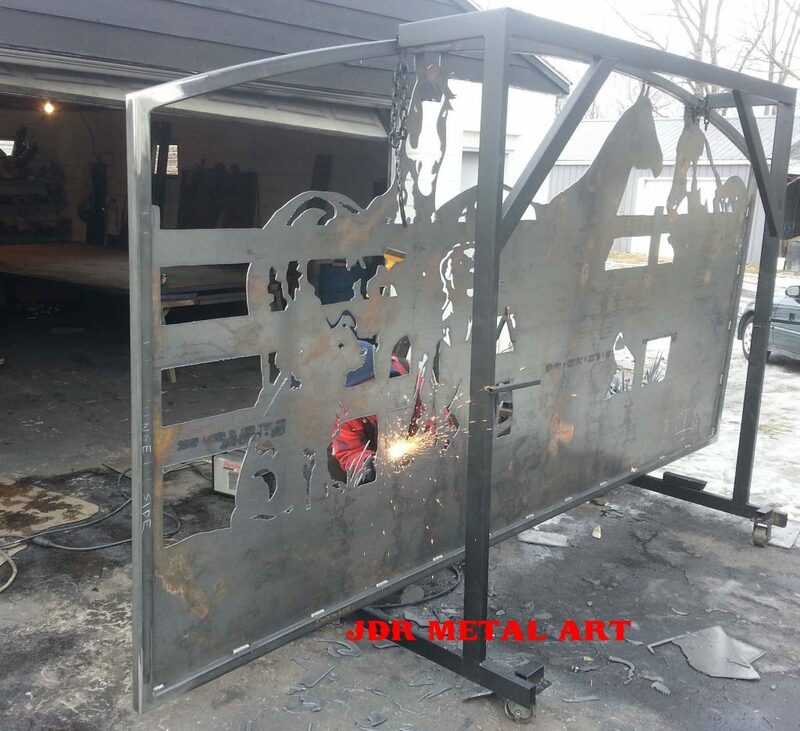 We lay the designs out by hand and then use a hyperthem plasma cutter to create these gate silhouettes. Since there are two gates with the same design and we are doing them by hand (not with a CNC machine) each one will be slightly different but this makes them unique as well!